Rural hospitals offering obstetric care services have declined over the past decade, which has contributed to a rise in health risks and infant mortality in some of the country's most medically underserved areas, according to a new study. An analysis published Thursday in the Journal of the American Medical Association examined data on more than 4 million births that occurred between 2004 and 2014 in more than 1,000 rural counties across the U.S. It found a total of 179 rural counties lost hospital obstetric services between 2004 and 2014. Rural communities adjacent to urban areas lost a total of 103 hospital-based obstetric services while rural communities in non-urban-adjacent areas lost 76 where more than 112,000 births occurred during the study period. During that same time, there has been an increase in both pre-term births and births that have occurred without maternal care support, researchers found. Non–urban-adjacent counties saw the rate of births outside of a hospital increase from 1.2% of all births a year before they lost obstetric services to 1.6% a year after services were lost. Rural counties adjacent to urban areas had a smaller increase in out-of-hospital births, going from 1.3% to a 1.5%. Non–urban-adjacent counties also had an immediate increase in the number of births that occurred in hospitals that did not have obstetric care, going from 0.4% of all births in the year prior to services being lost to 2.4% a year following the loss of services. Researchers also saw an increase in the number pre-term births that occurred in remote rural counties after a hospital servicing that area closed their obstetric services. A year prior to a loss in services, pre-term birth rates in non-urban adjacent counties was 11%, which climbed 0.4 percentage points year after services closed. 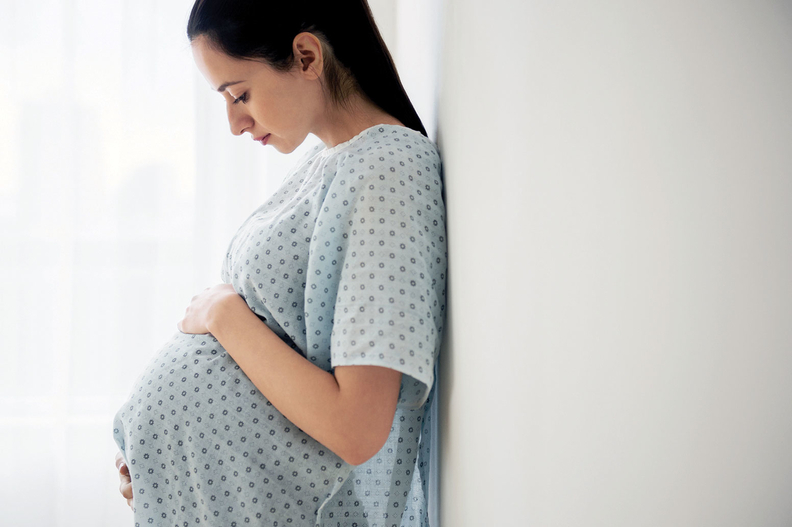 The study also found increases in the number of patients that reported low use of prenatal care among hospitals located in non-urban rural counties a year after they lost their obstetric units. Pre-term births are the most frequent single cause for infant mortality, accounting for 17% of infant deaths in 2015, according to the Centers for Disease Control and Prevention. Babies may encounter a variety of health problems, including breathing and hearing trouble, feeding difficulty and vision problems, as well as higher risk for developmental impairment and cerebral palsy. "These are hospitals that are not equipped to provide obstetric care, and these births may be happening in the emergency department," said study lead author Katy Kozhimannil, associate professor at the University of Minnesota's Division of Health Policy and Management. "Hospitals are scrambling to provide care that they don't usually provide, and these can potentially be quite risky." A 2017 study also authored by Kozhimannil and published last September in Health Affairs found 45% of rural counties had no hospital obstetric services between 2004 and 2014, and an additional 9% lost all their services during the study period. After 2014, just 46% of rural counties in the United States had hospital-based obstetric services. That study found counties with lower median household incomes, higher populations of black women, and those located in states with lower Medicaid income eligibility limits for pregnant women were most likely to be without obstetric services. Obstetric units are often one of the first services eliminated by rural providers when they are forced to make cuts. More than half of births in rural areas are paid for by Medicaid, which has reimbursement rates that often fail to completely cover the cost of obstetric services. But Kozhimannil said finances are often only half the story behind their decision to no longer provider such services. She said what often drives many providers to close their obstetrics has more to do with feeling as though they do not have the staff or expertise caring for patients in a low-volume environment where they may see less than one maternal case in a month. "What we hear from hospitals is that they try for as long as possible despite the finances to keep obstetrics going, and they care about it," Kozhimannil said. "While it is a financial decision [to cut obstetric services], it's also a clinical decision." Kozhimannil said part of the goal of the study was to highlight the clinical ramifications that come with the loss of obstetric services in rural areas. In 2010, nearly 18 million reproductive-age women lived in rural counties in the United States. According to the CDC, the risk for infant mortality increased the further away birth occurred form urban areas, with 6.5 deaths per 1,000 births occurring in rural counties compared to 5.4 deaths in larger, more urban counties.